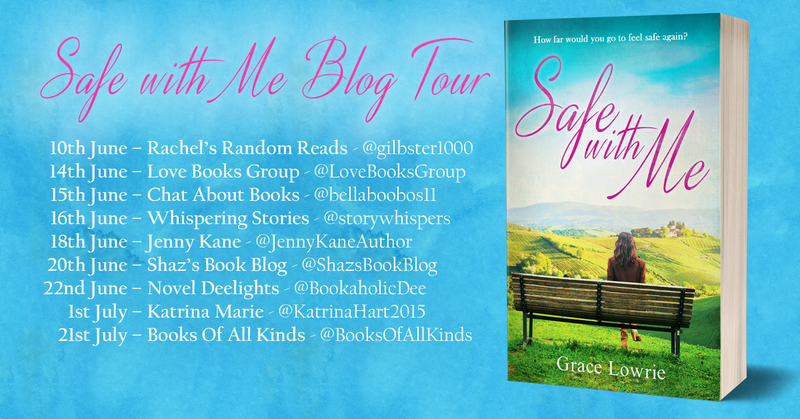 Today I’m Incredibly Excited to be Interviewing Grace Lowrie Author of Safe With Me. Welcome Grace please tell us a little about yourself and your book. Hello! *waves* Thank you so much for inviting me to your blog, Katie! I’m an introvert with a penchant for rock music, art nouveau design, blue cheese and grumpy ginger tomcats. Having worked as a collage artist, sculptor, prop maker and garden designer over the years, I now write contemporary women’s fiction from my Hertfordshire home. 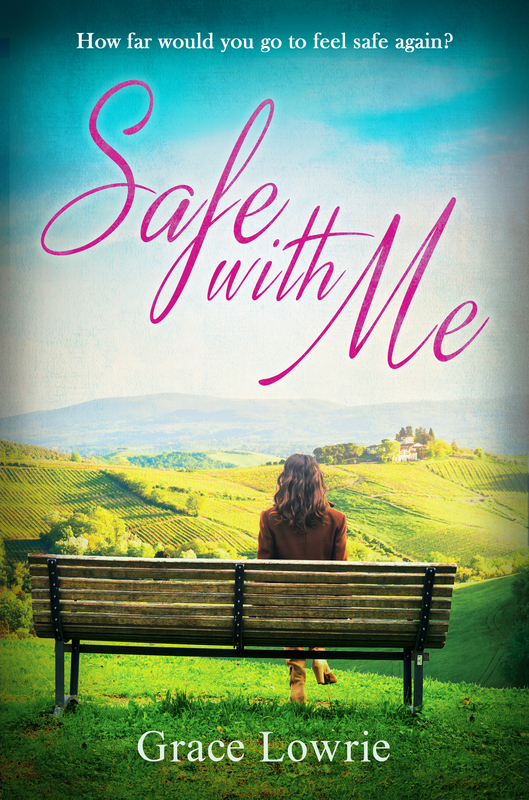 Safe With Me is a standalone novel, the first of three, set in the fictional town of Wildham. It is my second novel to be published by Accent Press. What inspired you to create Safe With Me? I am fascinated by the bonds we forge as children and their potential power. Usually our strongest relationships are with our parents, but what if you are abandoned as a child and the only family you have is a foster brother or sister? What if they are then taken away from you? Would that initial bond be strong enough to survive anything? I wanted to explore this idea and weave it into a love story – maybe because I’m an optimist and a romantic at heart. What is your writing routine? are you a pantster or planner? I don’t write every day(!) I know I should – and I’d like to – but I have a busy life, I need my sleep, and once I start writing I don’t like stopping; so some days I only write in my head. I scribble down notes and ideas on various bits of paper and then go though them once I’m in front of my laptop. As disorganised as this might sound, I’m definitely a planner – I like to have a rough idea of the beginning, middle and end of a story and a good feel for my leading characters before I start my first draft. Once I’m in full flow though the voice in my head can often take me in some unexpected directions, which is great – you can’t plan everything! I’m lucky enough to have a dedicated writing desk with a view out the window of trees and sky, but first thing in the morning my favourite place to write is perched on my back doorstep in a patch of sunshine with a hot mug of coffee in one hand. The first draft is always the most fun for me because I can just write and write and write without getting hung up on research or worrying about plot holes – in theory anyway – I still get stuck from time to time. I love Kat because she is strong, spirited, fiercely loyal and big-hearted against all odds, but I wouldn’t choose the life she’s lived – it’s terribly hard. I particularly enjoyed writing about Jamie from Kat’s point of view – he’s handsome and charming and appears to be care-free and self-assured, but she knows the insecure little boy he keeps hidden inside. What is the darkest thing any of your characters have ever done? Kat has done several dark things in her past in order to simply survive, but my darkest character so far is Bay, who features in Book 2 of The Wildham Series. He’s a temperamental artist who abuses drugs and alcohol, swears frequently and is contemplating suicide at the start of the story. Thankfully he has a great sense of humour and is generous to a fault so there is hope for him. Do any of your characters have any strong beliefs or fears if so what are they? With their bad starts in life both Kat and Jamie, unsurprisingly, fear abandonment and have trust issues, but they both believe strongly in each other. I enjoy reading a range of fiction in a variety of different genres and I have too many favourite authors to list, but some names include: Iain Banks, Sarah Waters, Chuck Palanhiuk, George R.R. Martin, Kate Atkinson, Stieg Larsson and Diana Gabaldon. To write the first draft as quickly as possible and then take your time with the editing. I’m still not as quick or as patient as I’d like, but I’m getting better with practise. I am currently editing the next two books in The Wildham Series and have already started the first draft of another. Do you have any advice for fellow writers who may be undertaking creating their first novel at this very moment? Just keep going – there will be days when you feel truly inspired and days when you just want to give up completely, but nothing beats that thrilling feeling when someone else has read and enjoyed your book. 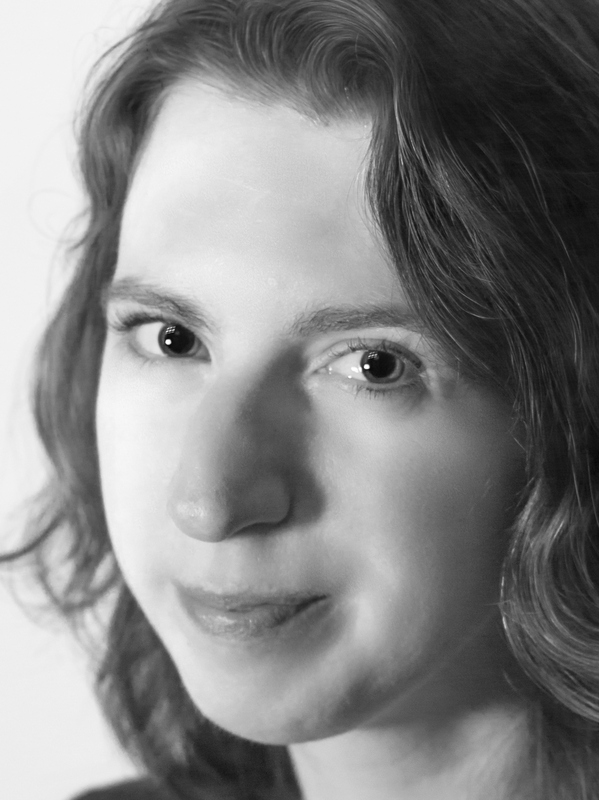 Thank you Grace Lowrie for taking time to do this blog interview, It has been a real pleasure to hear about your novel, I wish you well with your novel and all other writing projects you may undertake in the future. Great interview, Grace and Katrina! Shared.